In the past decade, the grounds at Ballea Park have been transformed into a state of the art sporting complex. It is important to remember that the grounds have been developed by members for members. Everybody needs to respect and help to maintain the brilliant facilities that we are so fortunate to have. 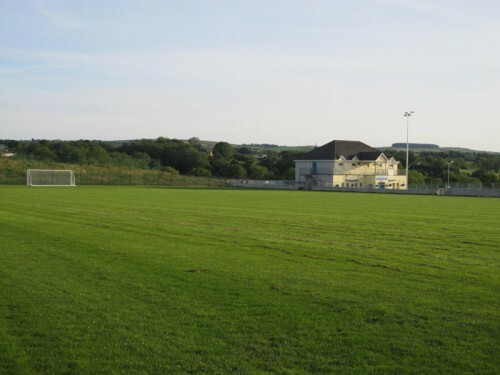 Travelling from the village along the Ballea Road, the first sight of Ballea park comes with a panoramic view of our grass pitch. 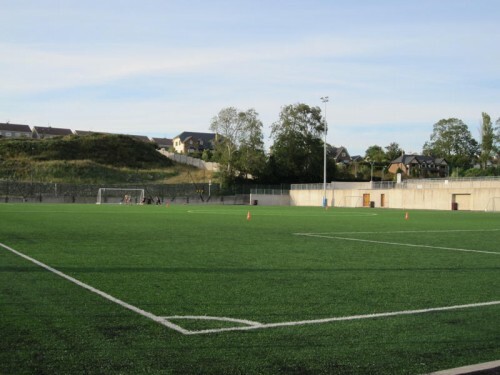 As part of a major redevelopment of Ballea Park at the end of the noughties, Carrigaline Untied installed a full-size FIFA-approved all-weather pitch. Fully floodlight, the pitch is constantly in use. Alongside the multitude of CUAFC teams from Under-7 to Over-35, the FAI FAS programme, the FAI Coach Education programme, and Rebel Bootcamp also regularly make use of the fantastic facility. 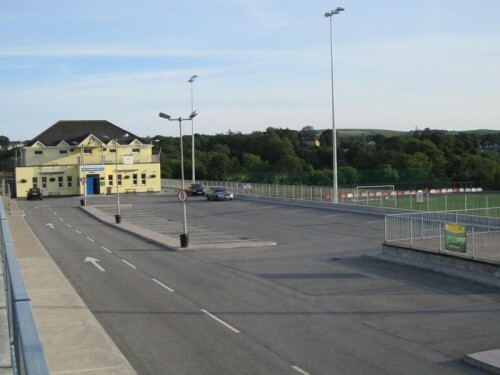 In 2004, a modern and spacious new clubhouse opened its doors to members. Upstairs, there are four team dressing rooms with shower facilities, a referees changing room, toilets for ladies and gents, as well as a balcony out front for spectators. On the ground floor, a conference room adjoins our fully licensed club bar - the ideal venue for post-match analysis.